NutriDay Gold tablets powerful antioxidant formulation which helps to promote growth and maintenance. This is the skin care products can do a lot for the health and appearance of your skin, including reducing the signs of aging. It promotes immunity; prevent anemia and leads to healthy life. 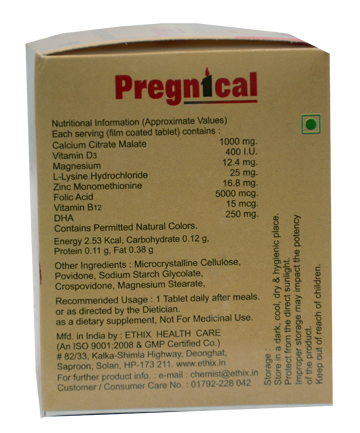 Pregnical tablets specially formulated to meet the demands of pregnant women which is important for building and keeping strong bones. And also treat all kind of bone problems during pregnancy and after delivery. It maintains healthy bones and teeth. 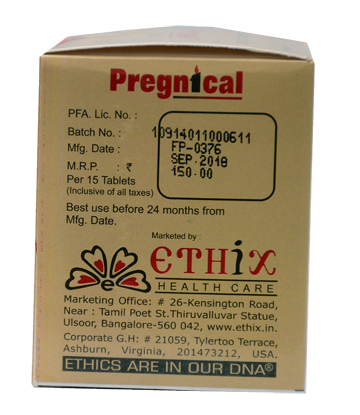 Pregnical is used to prevent neural tube defect of a baby since the first trimester and also boosting the immune system, improving growth and brain development of the baby. So the antenatal mother can take Pregnical immediately after the confirmation of pregnancy.